Everyone agrees that we all need to exercise for health and improved self-image. But our ideal picture does not include droopy eyes, eye bags, double chins, no lips, and a jawline that looks like that of a melting cartoon character. You probably work out; maybe you even run marathons. Yes, we want ripped abs, a slim waist, and well-toned thighs. But what about the part of us that we look at most closely every day? Your facial muscles, as much as or even more than body muscles, can sag, bag, droop, and go all-over wrinkly. While many are concerned with their facial complexion, we don't talk much about exercising the face. Not enough, at least. Facial acrobatics have been around for decades at least, but few people are aware of them. Facial exercises don't receive as much publicity as those which emphasize other areas, but they are just as beneficial. Imagine a rubber band that is permanently stretched. Then you'll have a good image of the way muscles have weakened, lengthened, and drooped in your face. As muscles weaken, they make the whole face sag. So what's the good news? 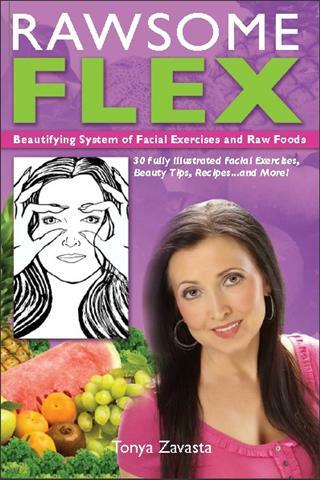 These flabby muscles can be shortened by facial exercises that ultimately lift and firm your face. Exercises shorten loose, slack muscles, making them firm and taut, and helping to diminish the fat around those muscles. Your facial muscles are the only muscles in your body that insert (or attach) to skin at one end rather than being attached to bone at both ends. Toning your facial muscles will directly affect the appearance of your skin. Through facial resistance training, you can build muscle mass, stretching the epidermis and reducing wrinkles. Facial exercises also strengthen and tighten the understructure of your face and neck. Droopiness, flabbiness, furrows... you can say goodbye to all of them. What about Facial Exercise Devices? I looked at my own face, and I knew - I had to begin exercising it along with everything else. My thinking went like this... I'm busy - extremely busy - and there's no way I can squeeze in another twenty minutes just for my face. I started looking. I bought every imaginable gadget, gewgaw, doodad, device, dealie, whatchamacallit, and thingamajig that claimed to strengthen or develop facial muscles. The goal: a device I could in good conscience recommend to my readers and offer on my website. My one vital condition: I had to like it and be willing to use it every day myself. Disappointment abounded. Some gadgets were utterly useless. Others were too bulky for the results they delivered, too cumbersome to carry on long trips. Some were so uncomfortable I just couldn't make myself stick with them. If I couldn't get myself to do it, I reasoned, most other people wouldn't want do it either. Effective results... easy application - that's what I wanted to offer on my website. One purchase after another, and... nothing. After I hurt my jaw joint with one chin exerciser, I took a different approach, looking not at new gadgets but at old-fashioned exercises. You know the kind - just you and a method. I sought a solution that would take just my face and my own two hands. Simple is good. Simplest is better yet. I did a first read through the ebook this evening, and am genuinely impressed with the content, layout and practicality of the book. So often my experience with e-books has been that they contain as much of more 'fluff' as they do practical, applicable information; many could be distilled into a much shorter format. Yours is a an engaging read, full of information, clear direction, and the recipes are an unexpected bonus. ...a great time saver! In short, I'm delighted to have discovered your website and products. Again, thank you! All facial experts give the same advice we hear everywhere. Exfoliate just once per week. Drink eight to ten glasses of water a day. Take vitamins. Use olive oil for cooking. Eat whole grains. Eat lean meat. Among the suggested products are: Retin-A, copper peptide, omega-3, folic acid, vitamin C. These suggestions are generally outdated. For raw foodists, they are absolutely inappropriate. I do none of these things. But I eat a 100% raw foods diet. It works better, and I daresay I have the face to prove it. Having a lifetime of good skin care will give your skin a youthful appearance and will probably make the exercises seem more rewarding. But no cream in the world can truly counter gravity. Exercising will. For the first time in the history of natural facelift programs, here is a full system, a system thoroughly integrated with the principles and practicalities of the raw foods lifestyle. Here’s an ideal program for a natural facelift, entirely complementary to the raw foods lifestyle. Dear Tonya, I have been researching and using different forms of facial exercises for a long time as most of my work involves natural healing and natural beauty too! ...you actually deserve to charge a whole lot more than you do for it. These exercises are very powerful and I felt the effects straight away, how clever to use the [...] too.